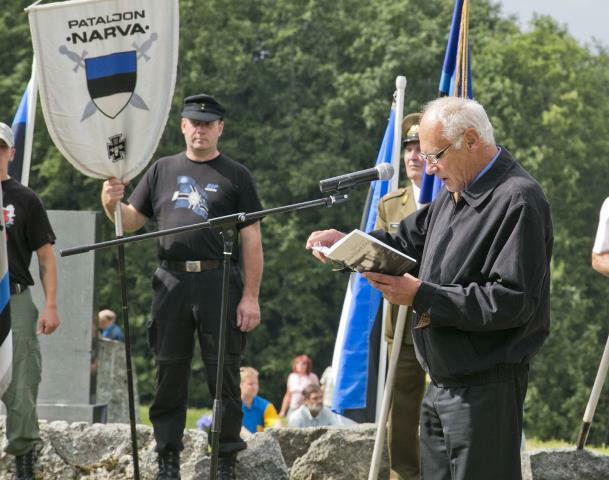 "Tomorrow's unhistorical anticommunist fiestas in Estonia consist a provocation for the millions of victims of nazism, for all the peoples of Europe who, through their struggle, wrote the heroic pages of the Antifascist Victory. They consist a provocation for the millions of communists, the fighters who contributed decisively to the crush of nazism-fascism. 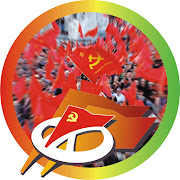 These fiestas consist the continuation of similar events that take place during the last years under the auspices of the EU which, having anticommunist as its official policy and with large budgets, attempts to establish the 23rd August as a "European Day of Remembrance for the victims of totalitarian regimes". 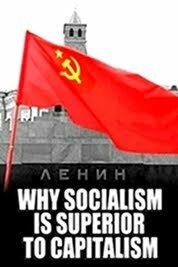 Its major aim is the re-writing of the peoples' history, the slandering of socialism, the unacceptable and unhistorical equation of communism with fascism-nazism. 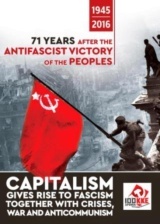 A basic aim is to hide that the power of monopolies, which in Germany took the form of Nazism, capitalism itself was overthrown in the USSR and in the other countries where the working class took the power; and, despite the weaknesses and serious mistakes the socialist construction moved on for decades. 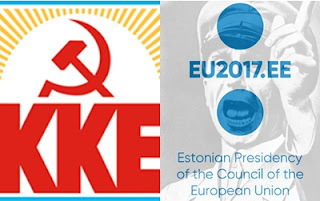 The anticommunist campaign of the EU, which goes hand by hand with the antipeople, antiworker attack, finds its best expression in Estonia and the other Baltic countries. The estonian bourgeois governments, with t he support of the EU and the USA, during the years that followed the overthrows in the socialist counties and the USSR's dissolution, struggled to distort the historical truth. It has been proved that the effort to equate communism with fascism aims in acquitting Nazism for its crimes. In Estonia, the murderers of the 20th estonian division of the Waffen SS, of the estonian SS which fought by the side of Nazi Germany are proclaimed "heroes" thus enjoying pensions and privileges, while the action of the Communist Party and the communist symbols are prohibited and the period when Estonian was part of the USSR is considered as "occupation". The day of Estonia's liberation from the Red Army and the Estonian partisans has been established as a "day of mourning" by today's anti-communists and the descendants of the Nazi murderers. What SYRIZA, New Democracy and the other parties say about the supposed "EU of peace, democracy, security, solidarity" is collapsing in Estonia and in other countries. 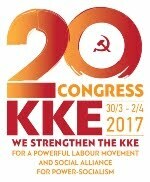 The refusal of the SYRIZA-ANEL government to participate in tomorrow's (Wednesday's) events n Estonia is at least hypocritical, not only because it (the SYRIZA-ANEL government) had been officially represented in last year's events in Bratislava, but also because it acquittes the EU of monopolies, which has anti-communism as her flag, the equation of communism with nazism. 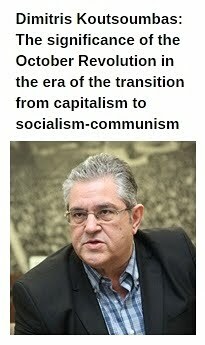 Besides, the slandering of socialism, of the entire socialist course of the Soviet Union by SYRIZA seconds the vulgar extreme anticommunism of New Democracy, PASOK and the other parties, alongside of course with the murderous Nazi Golden Dawn, as it has been expressed during the last days. One hundred years since the October Socialist Revolution, the peoples of Europe can draw conclusions. 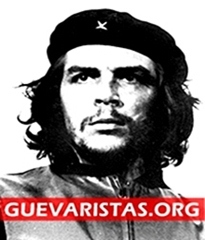 The strengthening of anticommunism proves that bourgeoisie and her staffs are trembling in front of the people and the perspective of its struggle; they hit at the communists because they are the bearers of the way out of the rotten exploitative system and its crises. 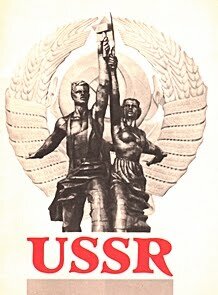 The people's experience proves that escalation of anticommunism and all the outdated reactionary ideas is only a precursor of new anti-people measures and restriction of people's rights, (a precursor) for the launch of a new round of imperialist wars and interventions against the peoples. 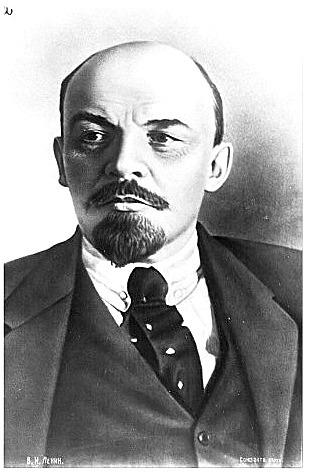 For that reason, the struggle for the abolition of the anticommunist persecutions and restrictions, the struggle against anticommunism, for the satisfaction of the contemporary needs and rights of the people, is connected with the constant struggle for the workers power, for the liberation of the working class and the popular strata from the bonds of capitalism, from the exploitation which generates poverty, wars, nazism-fascism and its supporters".